Fast emerging and dynamic Devon duo Harbottle & Jonas bring their fourth album with a strong maritime focus, The Sea Is My Brother, to Twiggs Gigs Exeter. There is a real maritime flavour to this superb album as well as some Devon history in there; every song tells a story and the storytelling continues between songs. A great live act, their songs cover the political and historical as well as the more personal. 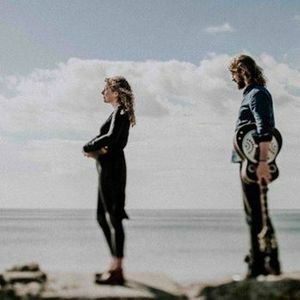 Partners in life as well as music, Dave and Freya combine a love of the richness of traditional folk with their own original and powerful songwriting. Over 6 years of writing and performing together they have evolved a compelling live signature sound, blending their distinctive solo voices with concertina, harmonium, banjo, stomp box, acoustic guitar and dobro with their powerful close vocal harmonies. 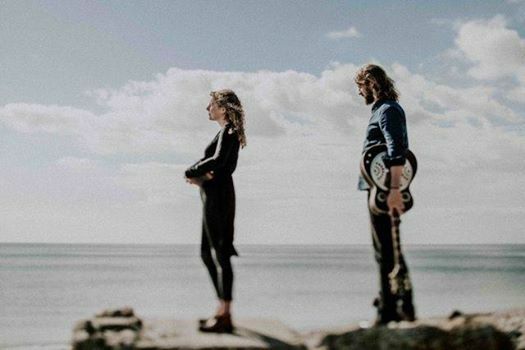 They have received plaudits from folk icons including Seth & Geoff Lakeman, Jon Boden, Rod Clements, Lankum, Declan Sinnott, BBC Introducing and have been endorsed by Seasalt Clothing. Their music had been streamed in excess of 1,000,000 times in 25 different countries and they have also played a gig with Martin Carthy. Well travelled across the UK and playing up to 200 gigs each year, Harbottle & Jonas have managed to establish themselves as one of the most exciting prospects on the folk circuit. Dave & Freya will be leading the folk course at The Internationally renowned Dartington Summer School for the second time this year. Hot drinks available at the Twigg's Gigs café. BYO alcohol.